Prodigy, Genius, Intelligent or Happy Kid! What would you prefer? You are here: Home / Important Articles / Prodigy, Genius, Intelligent or Happy Kid! What would you prefer? How I yearned to be blessed with an intelligent kid when I had conceived my first son. My preparation for the healthy and intelligent baby was on, months before I finally was told that yes I was gonna be a mother soon. Months of preparation, because, I was a case of infertility! Oblivious to the fact, that in a country like India, the term infertility is a blotch on femininity. The family and friends get vicarious pleasures in asking about the “Good News” knowing or not knowing the pain they cause to the already shattered couple. But, I being a different personality, always :), made sure, people not only understood what infertility meant but also made sure they never uttered such insensitive words in future for any soul on this earth ever! 😀 What a sukoon, I tell you! All was well till the first 1.5 months, when I had some minor cramps. Panicked I called him. He was in the midst of a surgery in Germany. He took the call and promised to revert back after his part of surgery was over. In 10 min he gave me call and my husband using his conference facility. And I was put on Progesterone Injections. While explaining the side effects, he mentioned something that I found very interesting. Progesterone if injected in the early months of the pregnancy, improves the intelligence of the fetus! Hmm, that was something worth researching and what better to do than this. So I read as many articles from as many search results. Then my doc mentioned that always check the medical journals for authentic reports than any posts on the internet, as many articles were just there by the companies to promote their products. So I became a member of the American and British Medical Journal. My brother in US allowed me access his hospital library too. A doctor classmate in UK helped by passing anything relevant from his hospital who were also researching on the “Letroz” sideeffects. And guess what! It’s true. Progesterone taken by mothers preferably daily does make the baby more intelligent. The painful drawback was the hard lumps on the both sides due to 500 needle pricks :(. But I guess, once a mother, life changes and becomes more of a treasurer’s life. The second thing that took my attention was the recent launch of edible almond oil which helps the brain cells, as it’s full of vit E and potassium. And since potassium is excellent for keeping the brain oxygenated, it’s called food for brain, like bananas too. Fish oil is another option but during pregnancy fish oil in capsule form should be avoided due to chances of mica in it. Only safe fish to eat during pregnancy is “Mackerel”. At that same time Amitabh Bachchan’s cassette “Garbh Sanskar” was released. Today with the same pair of genes passes down to both the sons, with similar well at-least to a large extent same environment, I am amazed to find two very intelligent yet very different personalities. But where do I draw the line of MY aspirations of having intelligent/ genius/ prodigious progeny. Today, I chose, rather with ease, to be content with happy and smart child. Having done that, trust me life can be difficult in this highly competitive world. I chose to put my kids into a playschool where there was no high pressure. Where, even if they did not learn to write alphabets or numbers, they could still differentiate between less or more and between a cat or a dog. When they fight over bigger chocolate piece, I know their concept of size is fine. When they call each other animal names, I am glad they can differentiate between animals! When they hassle over what t-shirt to wear, I know they know their colors too well. And when they go and tell my friend in her dinner party, that “we are pure non-veg and will not eat anything veg, I know they know their EVS too ;). It’s difficult to choose when every parent is pushing their kids to attend several classes to groom them into a smarter, more intelligent and perfect child. Only when my kids ask me repeatedly, I make them join a course and soon they prefer to be at home with much more fun type activity that I do with them. They have gone to their painting classes for 3 times only out of a month, 15 days of football classes out of a 25 days, a month of chess class and two months of wushu classes in a period of 6.5 years. Now, my kids have decided on their own. Chess is for the older one and karate for the younger one. I am more than happy. Trust me I am glad that I am not pushing them to go to a different class every day. There are moms who are daily escorting their kids to swimming classes, voca-boom classes, drama class, football classes, piano classes, tennis classes !!!! The poor kids do not have time to live a normal child’s life! Agreed they are too young to decide what is best for them, but they are too young to take on too many activities at one time! Not to forget the school and the tuitions some kids have to go to every day! There can be arguments saying that if a child can learn, then why not? Yes, if there is no sign of stress then a child can be exposed to various activities, but is there an end to it? Do we know where to draw a line? I have an intelligent kid, so I should load his brain with so much information that, after one point his brain too starts cramming up instead of learning it at a slow stress-free way! Have you seen how we all work when there is a deadline! We just remember one thing and that is the date of the final submission of the product, of the project of the presentation etc. At that point if we are overloaded where is the chance for us and our poor mind to enjoy the work we are doing! Well, the same holds true for these tiny young kids too! OK point taken. So the fact remains that even if the child is a super intelligent one, the pleasure he gets in doing an activity is when he wants to do and not when forced upon. There is no right and wrong answer. What I may find as “wrong” and give a winning argument for it, let me assure you, that, I can give an equally winning argument from the other side of the table with sufficient data. 🙂 So the fact is to think from the heart and not from the brain only. As young parents’ it’s important to understand what makes a prodigy, a genius or an intelligent kid. Who is a Prodigy? A kid who has the ability do an activity at one third or one half the age that an average, normal adult is capable of doing. So a kid who can give a maths exam meant for a 20 year at the age of 5 will be a prodigy. Or someone who can play a piano at the age of 5 years like an adult who has been trained for years is a prodigy. But do you know that prodigies are not in all the fields? There are some special fields only where the brain can excel, like maths, music, computers, instruments, memorizing stuff! Why? Because, these fields have a set pattern and can be repeated, howmuchever complex the repetitions might be. Any of these subjects which has formulas that can be repeated falls under the category of prodigy. So does that mean, that any field which does not have repetitions or formula will not fit under the prodigical category? Well as of now that’s how it seems. But human brain is capable of adapting quickly. Quickly here means over the period of generations! So if there is a trend of becoming a perfect politician in a family, I guess it’s manifestations in the genes can not be ruled out in future. And in that family a concoction of maybe outside genes could allow a prodigy in the field of politics too! So what is a Genuis? Firstly, unlike prodigies, geniuses are not bound by the age factor. So any one who has the ability to perform any activity better than the average population, is a genius. So your child can be a genius at an age of 5 or at an age of 25 or 55! Of course here too a large part of the credit goes to the combo of genes that the genius is born with, but the chances of finding replicas of geniuses in a family increases largely as the source of the genes remains same, the mom and the dad (same partners to be precise). Another fact that cannot be discounted is that practice improves the chances of becoming Genius. Have you tried giving MENSA test to check your IQ? Every time I re take the test, my points go up! Why? Obviously, cuz, my brain was looking at a similar kind of questions and has learnt to answer them. So the time I take to answer questions goes down drastically, which is one of the factors used to measure the final IQ. Oop! Did I just give away the secret! Well I don’t think any parent can be blamed for it. Our education system is so useless that it forces them and now us to make our kids learn things that will never be used in this lifetime. Or even never be applied consciously. The other day a few Bishops kids in 8std were at my house. I was teaching the fundamentals of floatation to my kids using their toys in their bathtub. So I casually asked the Bishops students, what is floataton. I must tell you I was sad after I heard their broken English definitions. SO I asked my son the same question. I went off to make popcorns. In the kitchen I could hear the conversation amongst three kids, two in 8th grade and one in 1st grade, discussing buoyancy and which toy would float and which will sink! Needless to say who was sure and right. But if these same two kids are asked about football, I can guarantee they are an encyclopedia of football! Inference drawn: If a child loves a subject, he will excel in it, whether any parent chooses or not. And if as a parent, I can identify that one interest in my child, and support him to excel in it, trust me, I will make a genius out of him. But, but but…. How many of us willing to take that risk? We are so bogged down by the salary system, which demands a set way of functioning that we let our kids suffer now, and later too. And strangely, they will repeat the same process with their kids. So in my opinion, to have a happy child around, I have to make sure they are happy even in their dreams. It’s not feasible to keep children happy always but if we can only indentify what are all the things our kids love and do effortlessly, we may have the key to their happiness and to ours 🙂 ! I know it’s easier said than done. So I will not preach any more but just let you peak in my thoughts. I have decided for good, no more forcing my kids into anything the show any disinterest. I will not waste my hard earned moolah on any whimsical classes that my friend’s kids may be going. I have pledged to let my kids live their lives in a lesser stressful environment as compared to the ones around their peers. But to compensate I will be extra vigilant on their needs, their interest, their growth and emotional development. As of now my younger one wants to become Spiderman / Batman and the older one wants to become a scientist who makes chemicals! Well obviously there is some thinking that has to be gone here in to their latent desires and talents. I think my new venture SuperIndianKid should take care of it adequately. This article has taken three months now. While conducting my workshop in December I had started writing and had reached the last paragraph. That’s when I realized how important it was for SuperIndianKid to take birth at the earliest! Now after two months I am writing this article again, with more insight. So what is Intelligence? Well now I have read so much in the past 60 days that I think I can write a book now! But will only summarize for the benefit of all. Intelligence is the ability to learn about anything from anything and be able to understand similar things. LOL. Each human brain being unique will and must have different capabilities to learn about different things. So if a child is able to understand grammar in English language easily, there is high probability that he will understand any other language grammar as easily, including computer languages (with no guarantee on technical understanding). This intelligence is called Linguistic intelligence. If a child can solve a puzzle, there is a high chance that he can solve complex logical problems easily in any field. This is part of Logical intelligence. These are only two of the eight other important intelligence, based on which, Indian education system labels our kids in each class! The other intelligences which are ignored by the schools in India but are found in abundance in our kids are Musical Intelligence, Spatial Intelligence (craft, painting, imagination), Interpersonal Intelligence, Intra Personal Intelligence, Natural Intelligence and Kinesthetic Intelligence. Why do we parents ignore the other intelligence in our kids? Is it because of the social need or is it because of the fear of the future security. May be both. I am able to dabble into so many things only because there is a safe and steady source of income in my home. So in case of our own kids it becomes our duty to find out what is the competency level of each of the 8 intelligence. Once we are able to assess this as closely as possible, we will stop pressurizing our kids. So how do we do that? Simple keep increasing the difficulty level of any activity each time your kid crosses a bar. You will know the competency level once he stops progressing repeatedly week after week! Stop yourself from pushing your child hence forth. The key here is to keep a written track of each intelligence, each activity and each week as diligently as possible. Another key worth mentioning is that for each intelligence, there can be several activities. As a parent, you cannot give up by allowing your kid to try one activity per Intelligence. Your kid has to be exposed to a wide variety of activities, to finally get any indication of the competency level. What is IQ? This is most useless measurement I have come across. What is the use of judging one’s IQ if it will not be used anywhere? Have you come across any foolproof IQ test ever? Like I have mentioned earlier too, I have taken MENSA test several times now. And every time I retake it, the result is better than the last one, for the simple reason that our brain has learnt to solve a particular type of question and will perform quicker that last test. So obviously the MENSA points improve and is useless. Another reason I find it silly is that it is the test to assess brains known functions only. How are we humans so sure that each and every function of brain has been discovered by our scientists? Who knows how many and how much is yet to be uncovered under the skull? It’s something like this. If you know English, all those who speak English will be intelligent as per your assessment. What about the language spoken by animals? Just because we cannot understand their language can we label them as dumb? If that is so, then, we are labeled as dumb by all animals! So no more wasting time and energy on IQ tests and IQ talks. We should try and find out how to be HAPPY. Do we have a Ram Baan that finds happiness? I wish! After my 40 yrs, I have realized, it’s the most elusive feeling and resides only in our own minds. Today we are happy because we meet our long lost friend, then, everything seems happy and great. Tomorrow, we break up and everything is sad and depressing. Physically nothing changed. Yet the whole world starts to look and feel differently. The mind game makes us Happy one day and Sad the other day. But the trickiest part is when we start forcing people we love the most, into doing things that we parents imagine will be best for our kids. We think that by making our kids join several activities, our kids will become all rounder. We imagine like the ostriches with their heads in the sand pits, that things will happen or not happen as per our wishes. I feel sad to see parents running from pillars to posts in the hope of making their kids’ Sachin Tendulkar or Dhoni or Sania Mirza. They are in turn turning their kids into robots. Going to schools by clock, going to tuitions by clock, going to activity 1 by clock, going to activity 2 by clock, watching TV by clock and sleeping by clock! Their childhood is lost by clock. Their adulthood will be anyways by clock! When do they be Happy carefree kids? When they are seventy years old? I think its high time, we chuck the clock ! Can we stop becoming a robot? Can we take a few days and be humans? Can we take a few minutes of our robotic lives and be Happy? If you liked the review don’t forget to + 1 it. Tweet it and to keep updated , Subscribe to the Newsletter or RSS feeds by email. Baby Einstein for brain activity !!!!! 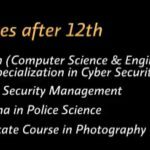 Career after 12 in Cyber safety, Police intelligence and internal security. Birthday Party Place for Kids in Pune! Thanks Komal n welcome to the blog. Hope it does even a tiny good to you and your kid. Excellent article…I think every parent should read and implement for our kids…. nicely put!…thanks Madhurie, this really helps me to understand my daughter, she is 3.7yrs, very fluent in english,i would only focus on her english, i read lots of books for her, she is crazy for books, we converse at home in English…but recently she insisted on learning bharatnatya. Being a working mom,its not possible for me to take her for different classes…but yes, after reading your article i am going to enroll her, maybe just for fun….i think whats impotant is the child being happy…..thnks Madhurie..
Well written Madhurie, I shall definitely give it a try for my 2 daughters ! Filed Under: Important Articles, Teaching in fun ways· Log in . Copyright © 2019 · Madhuriesingh.com .